The folks at Nintendo have revealed some very interesting information in the latest Nintendo Direct, in that every Super Smash Bros. amiibo figure is able to be used with Zelda spin-off title, Hyrule Warriors. Starting off with the game's protagonist, activating the Link amiibo will unlock the Spinner item for use within the game. Those familiar with The Legend of Zelda: Twilight Princess will know that the Spinner is a spinning-top-like device that allows Link to travel upon it, grinding against rails to proceed to places that would prove to be otherwise next to impossible; in Hyrule Warriors it seems like a powerful tool that's "great for smashing your enemies". On the topic of Twilight Princess, its DLC will also be available to purchase as add-on content for the game, meaning those regretting their initial bonus pack pre-order decision will have a second chance to nab its goodies. The rest of the Smash Bros. squad randomly provides a material, weapon or rupee when scanned-in on the Wii U GamePad. It's not much in terms of in-game functionality, but it's definitely good to know that any amiibo you purchase can go a longer way, and not restricted for use within a game respective to its property. 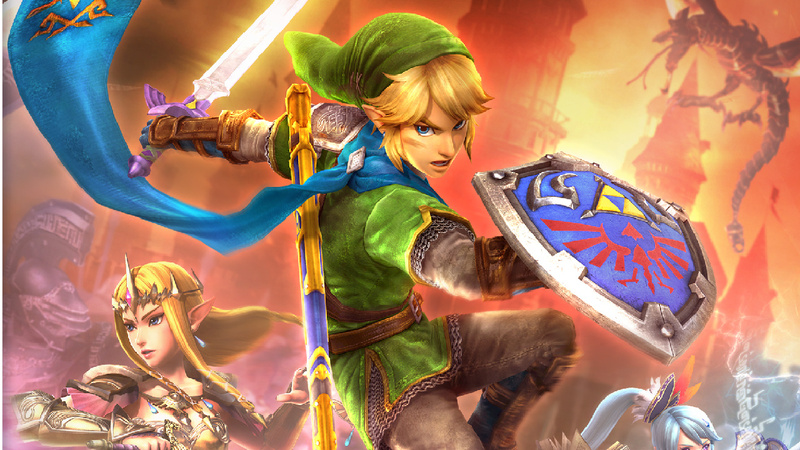 The amiibo functionality will come into play for Hyrule Warriors via a free software update this month. At first, amiibo created quite a stir with its announcement, but with more and more games allowing cross-compatibility use of the figures, it's starting to turn many heads. Are you a fan of the amiibo concept, and if so, which one(s) will you be getting? Sweet! I hope they add unique functionality for the Zelda amiibo once it releases. I like that there is at least some (Within reason) use for other Amiibo that would not fit otherwise in the game. so far my head has turned away from most of the figures, excepting a few that are for properties I don't see much merch for. I'm looking at you Villager! Bad idea, Nintendo. This is literally an amiibo-related paywall for an otherwise presumably unobtainable weapon type (actually, the Twilight Princess DLC pack lists a new weapon as part of its content, which could be the spinner - my bad, sorry) - which is precisely what they wanted to avoid. Also, this might finally make the spinner useful - its implementation in TP was poor and way too specific. Good, another useless purpose to the amiibo line. Wow, a $15 DLC weapon! @Kaze_Memaryu They haven't revealed what's in the Twilight Princess DLC content pack though, it might be in there too. Nintendo Fans - Hear news about extra usage for a product - automatically assume the worse of all options. For all we know this could be things unlock-able in the game that you get right away for scanning your Amiibo or it could be stuff included in different DLC's that mean you could get it with out paying for the DLC. So it's like micro-transactions. That's terrible! Nice to hear that all amiibos will be supported. It seems like its just an added bonus more than anything, but definitely appreciated. While not being specific, the list for the Twilight Princess pack includes "an additional weapon" as part of that content. Whether the spinner is included there isn't clear, but very likely. And while I realize the error in my post (I'll reflect on that, no worries), it doesn't eliminate the issue of actual content being obtainable via amiibo. "Your dollar will feel more worthwhile…"
I'm literally crying right now, that headline really cracked me up. And not in a good way...this is bulls***. Really the only useful amiibo, you can get for the game will be Link and it's for a f-ing 15$ weapon. Being able to use Amiibo characters over multiple games definitely adds more value to them. If you're into these figures in the first place then I think you're probably going to get a lot of overall value out of them ultimately. Confused by the discord here. You aren't supposed to buy amiibo for one game... you buy them because they work with many games. so its more "The amiibo I'm using in smash will also work in these other games I bought and add value to my purchases..."
People whined and complained that only one figure was compatible with this game. They then announce all figures are compatible with this game and everyone mocks them for it. People don't seem to understand that these are just tacked on uses for pre-existing games. They're just a little something extra to help give a Amiibo that much more value. But people are acting like this is all you get with it. Oh, pay $12.99 for a weapon... No, pay $12.99 for a collectible figure that ALSO grants you a weapon in Hyrule Warriors, ALSO grants you Nintendo costumes like Captain Falcon or Samus Aran in Mario Kart 8, ALSO a fighter you can level up and fight with in Smash, ALSO work in Captain Toad, ALSO work in Rainbow Curse, ALSO works in Mario Party 10, and at this rate most likely another 2 to 3 dozen games before the generation is over. So ya, you're paying $12 for a Hyrule Warriors weapon... on top of the 3 dozen other games it's going to be compatible with, not to mention the collectible figure itself. So if I scan wii fit trainer I can get a moblin flank! Woo.... Something as minor as a material or weapon or rupee is so inconsequential it doesn't seem to be worth even doing. I was hoping to see Linkle as an alt costume for link, as that would be really neat. Ah well, still hope for other games! @NintyMan @Syrek24 @Ryu_Niiyama @JaxonH Thank you for being the voices of reason. @NintyMan They don't have character-specific weapons. Only Link adds the spinner while every other Amiibo gives random material, items or weapons for scanning them. @Gerbwmu - Never considered that, would actually make me very happy. Finished Legend mode and 2/3 of the Adventure mode map in Hyrule Warriors but never got 4 of the characters nor Link's ball and chain gauntlets. If the amiibo were smart enough to unlock something in the game you hadn't unlocked yet that would be nice. Of course now that I have Epona and the 3 villains I don't need that other stuff unlocked but it would still be a nice compromise. What if they were character specific rewards, though? Scanning Kirby would get you the Star Rod weapon. Donkey Kong could net you the 8-bit Banana Badge. @JaxonH - "People don't seem to understand that these are just tacked on uses for pre-existing games. They're just a little something extra to help give a Amiibo that much more value." "But people are acting like this is all you get with it." This is the problem, b/c so far this is all you get w/ amiibo. There is no amiibo game that makes them the meat on the plate, so far all we are getting is salt, pepper, catsup and mustard. People don't won't to pay for a full meal just to get a plate of condiments. I think if there were a fully based amiibo game equivalent to Skylanders or Disney Infinity then people would calm down and realize these little extras are just that, extras, but as things stand they look like the main course, which lends itself to dissastisified customers. So your right, but I think Nintendo is wrong for introducing these w/o a dedicated game to justify the $13 cost. I know to them SSBU is that game, but it isn't Nintendo Land 2. Or Subspace Emissary 2. The problem is people WANT to buy these, they are cute and collectible, but people also want a video game related reason to buy these to justify the cost to themselves or their loved ones, and the justification - the meat, the main course - isn't there. So basically it's the same convo we've had before about the Gamepads inclusion w/ the Wii U, the proverbial chicken and egg. @rjejr I know this is a little off topic but I just got done watching those Pikmin Short Films, and oh my goodness were they fantastic! Just fantastic they were! I think Miamoto has got to be one of the most talented men to ever walk the earth in the last 50 years. Those films weren't just good- they were charming, funny, cute, emotional and most importantly they were very entertaining. I couldn't believe how much I fell in love with them after watching them! Well, I guess I can, since I felt the exact same way about Pikmin 3 after playing it. Seriously though, if you have five bucks to spare I SO recommend grabbing that little package of films. It's only like 25 minutes total but, they're just so charming and good I don't think you'll regret it at all, not one bit. People are blow this way out of proportion. It may be that Link unlocks this weapon but the amiibos work with other games. So it's not $13 for a weapon for this game, it's $13 for a vast array of uses for different games. You can use these with Smash,Mario Kart 8, Hyrule Warriors, Mario Party 10 and Treasure Trackers. These also work with other games too. I'd rather pay $13 for these, than spend the same amount on characters for Skylanders or Disney Infinity, which is only good for one kind of game. @Ryu_Niiyama Finally someone with some sense. The people going on about this being a $15 weapon are really making me facepalm. Well, another step for convincing me to get this, Can't say Nintendo is not trying. lol how did anyone NOT think the Ambiios would be used for microtransactions? Whether it gives use of a character or weapons or costumes...they were going to need a way to draw people to purchase Ambiios. If it added nothing special to the games only collectors would buy it. To be fair it at least is far superior than the normal transaction route. If you buy a figure, you can use it across multiple games rather than just one. You can also resell/trade the Ambiios since they are physical. If Nintendo was going to take the microtransaction route, which business wise would be silly not to, then this is the best possible outcome for gamers. Let's add something to this game so that if someone has an amiibo they can use it with this. How about a new weapon for link who already has the most weapons anyway. Sure its not like it's an adventyre mode map or anything needed to enjoy the game. 15 DOLLAR MICROTRANSACTION END OF THE WORLDS! Christ beyond poor sales it's easy to see why third parties don't want to support the Wii U if that kind of crap is considered part of the fanbase. @JaxonH Poor value if you compare it to say the MK8 DLC. (That amount of content but across many games would be fair). Not interested in happy meal toys that don't even have moving parts. (And I never was even as a child). Look at all the winy hypocrites. @JaxonH - My brain can't even begin to comprehend $5 for 25 minutes. Well OK in an Imax theater, but not in my home. Certainly not on a 3DS screen. I waited 10 years for Pikmin 3, I can wait a while longer until I see these for free. I believe the best way to use the Amiibos in Hyrule Warriors, & other games that are not a certain Amiibo line's/set's primary game, would be to unlock things that are already unlockable in the game, or even in dlc/paid dlc for that game w/o the Ammiibo. In this way, it's kinda like Smash Bros. Melee on the Gamecube; you could unlock all the fighters the easy way, by playing x # of matches, or the hard way, by performing x task. As I recall, most of Melee's secrets could be gained/unlocked this way, w/ the exception of needing certain other game save files on the memory card w/ the Melee save, for a few trophies. I imagine this could be the case w/ Hyrule Warriors; allowing players to get things they otherwise could in-game, or in any of the HW dlc w/o Amiibo. The whole purpose of what I'm talking about is that the Ammibos could unlock things already in-game, in free, or paid dlc. The whole purpose being the Amiibo would not be necessary for accessing something in a game, since that something is accessible in-game w/o the Amiibo, or in a free, or paid dlc pack. In other words, whatever enhancement the Amiibo gives can be gotten another way. Hopefully for Christmas Santa will bring me some of my favorite Amiibos. Those will be keeps, not for resale(a rule I imposed on myself)! The features in these games are okay, but they all seem like little things. I hope they really make Amiibo really worthwhile in the future. I agree with you completely. Games like MK8 and Hyrule Warriors were in development before Ambiios even popped out of the woodwork. They had separate budgets, separate developers, and different financial incentives. To expect them to go back and tie a lot of new content to the ambiios is silly. 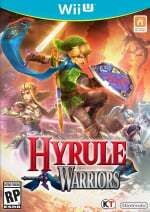 The Hyrule Warriors dev crew would lose money on that compared to releasing actual DLC. I think its great to buy a $12 item and getting additions to current titles and potentially a lot of future titles without having to rebuy anything. That is a bargain. @Syrek24 Is it so bad to hope for more interesting features to come along? Outside of the Smash Bros. stuff, these figures aren't must-haves. I have high hopes that there will eventually be games with great amiibo functionality, though. Maybe there will be a game centered around them. Even if there isn't, I'm just happy to be getting a nice-looking figure of Pit that won't cost me a hundred bucks. Nothing is wrong with hoping for more elaborate/cool features to be included with the Ambiio. It is just important to remember at this point that, Smash is one of the only games that was being made along side the Ambiio release. For games like Hyrule/MK8 to include features for it, they have to go back and code new stuff just for it. They don't really financially benefit from Ambiio success per se, so there just is a limit for what they'd do for it at this point compared to what financial returns they see from actual DLC packs. Its much more reasonable to expect that games next year whether its the new Kirby/Zelda/MarioParty games to be able to incorporate more Ambiio features alongside it. Overall I don't feel its too bad to have several little additions for multiple titles for only one purchased compared to typical DLC purchase price for additions. Some games charge $3-$5 for an extra character or new skins/weapons and that is just for one game. Big and small, I am still loving the approach Nintendo is taking with Amiibos. It's not a necessity like similar NFCs, but if you have it you get a bonus. No "obligation"
Wishful thinking that the materials are gold class and the weapons are powerful 8-slot empty ones. "WOW,$15 DLC weapon" ,"for a f-ing 15$ weapon","micro-transactions",''paywall"
Some of you guys do my head in.No matter what Nintendo do you will complain! Remember MK8 and HW are already released titles,Amiibo was maybe never actually planned for them originally but going forward its likely every 1st party and maybe even 3rd party will make more interesting use of them without being integral to the game.Who knows,they might even carry over to their next console?Then there's the fact they're also going to be compatible with 3DS games too.I fail to see how this is a bad thing! I think it's safe to say there is also going to be an actual Amiibo game sooner or later,so if you were interested in buying them before,then there's no reason why you shouldn't be now! There is very little to say here, nice little add for those already planning to get an amiibo, nothing to lose for those that were not planning to buy them. I think it's an awesome extra use for the characters it seems to me Nintendo is trying to let fans get the most out of the characters big or small it's cool they are finding different uses for them the big plus to me is if your a huge Nintendo nerd like myself it's awesome just having the characters themselves , I don't get all the complaining other than people just like to complain my answer to those people don't buy them Nintendo is not forcing you to do anything . I wouldn't pay $15 if I'd only get one weapon in Hyrule Warriors but it ain't the only thing you can do with it. It's not like the game ain't playable if you can't get one minor thing. And it'll probably be part of Twilight Princess DLC pack anyway. You buy Shovel Knight for 3DS and you'll get home theme. It ain't any different. Shovel Knight is $15 and the home theme is considered as an extra as is the weapon you get in HW. And $15 means nothing when amiibos cost 20€ ($25) where I live. EVERYTHING is a poor value compared to MK8 DLC, so that's not the best comparison. Well, guess you can't please everyone. Me, I think this is another nice incentive to buy amiibos! Well, don't buy it on the 3DS, but rather on the Wii U where it's full high definition. Though I loved it so much I went and bought it on 3DS also after I was done watching them. @whodatninja The point is that Nintendo explicitly promised the world that actual content would NEVER be connected to the possession of an amiibo figure, and they're casually stepping back on this very promise. I really want the weapon, because I love Hyrule Warriors, but I don't want amiibo and have no plans using them in Smash or MK8. So, this is a terrible move, Nintendo, and I really hate it. I've said it since the beginning. Amiibos need their own game. At the very least, they need a Mii Plaza style game, but preferably something closer to the other two figurine games. Maybe this is something in the works that Nintendo is not telling us about but until I hear something else I'm not buying these figures. It's cool that they added bonus material into these existing games and it would be cool to use them in Kart 8 but they seem a little expensive for what you get out of them for now. The best part about the figures are the figures themselves, but the game content so far announced does not WOW me. @Kaze_Memaryu Content must be connected to Amiibo- that's the whole point. why cant nintendo make dlc they intend to use with a figure? its not like you have to have that dlc but its a cool bonus if you own the amiibo. I think the amiibo's are a cool idea, give it time, no need to hate on it before its even released. @JaxonH No, not content. Additional features are what Nintendo was going to include through amiibo, but this here is a full gameplay mechanic. Even with the spinner included in the TP DLC Pack, it's still an incorporation of DLC content that changes or expands gameplay mechanics, and is only acquired through said DLC pack OR the Link amiibo figure. Cosmetic awards like the Mii costumes for MK8 are an exception, since they bring no change to the gameplay at all. @Kaze_Memaryu No promise was made to not change gameplay. Content can take many forms, not just mechanics. As long as it wasn't stripped out of the main game and set aside, it's fair game. AI in Smash, costumes in MK8, weapons in Hyrule Warriors... Every game is different. Spinner item looks cool, though I don't know if I'll buy the Link Amiibo for it.